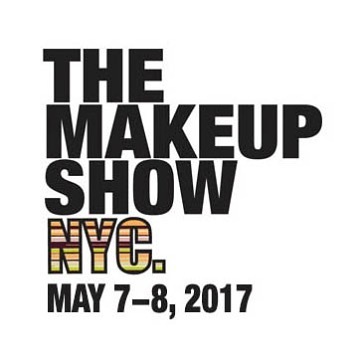 The Makeup Show NYC 2017 is just around the corner!! Are you ready?? They are coming back to New York on May 7th and 8th with incredible sponsors and must-see keynote speakers! It will be two days full of education and inspiration to members of the makeup community. In addition to meet and mingle with other makeup professionals and receiving exclusive product discounts, attendees of The Makeup Show NYC will also have the opportunity to learn from the best in the business. Keynote speakers at The Makeup Show NYC will share everything from their road to success, tips and techniques, and advice for those looking to advance their own careers. It’s where the makeup community comes together and celebrate for their passion for beauty! I started attending The Makeup Show NYC two years ago, and I must say, I have met so many inspiring artists and influential leaders in the beauty industry. This show is perfect for creative collaborators who are curious and eager to learn. This is where you want to be involved! YOU WILL NOT REGRET! ● James Vincent’s “The Makeup Show Town Hall,”: ​In this all-new keynote address, James Vincent and a panel of artists and experts will address the issues affecting our industry today. Panelists and attendees will have the opportunity to discuss current topics, debate timely issues and voice opinions. Show, Vlada shares her story and secrets to creating such a unique, recognizable style. Ryan Burke’s “Creative Thinking”: ​Ryan Burke has captured the collective imagination of our industry as a makeup artist, model, photographer and muse. In his first appearance at The Makeup Show, Ryan will be joined by his innovative agent Ryan McKnight to share his story and provide insight into the creative process. keynote address, Moises will share his work and provide ideas to put into practice that will take your artistry to the next level. unforgettable makeup. Watch as he shows the detailed techniques for which he has become known and listen as he offers insight on what you can do to build your own career. are doing with this exciting new agency that is changing the game. the essentials for every media format, help you separate the actual needs from the wants in an ever-growing market and offer insight on what are the actual must-haves for the makeup pro. You can also stay up to date on the hottest show news through an informative blog covering all things beauty at ​TheMakeup Show Blog​. Be sure to connect with The Makeup Show on​ ​Facebook​,​ ​Twitter​,​ ​Instagram​ and​ ​Youtube. O0o I’m a year late for this. I hope they do a 2018 event.